Please come experience our studio. You are welcome to observe a class and many of our events are open to the public. If you have any questions or would like to loarn more about the program, please don’t hesitate to call, email or visit the dojang. We are happy to answer any questions you might have. If you have never taken a karate class before, trained a little, or a lot, we are sure you will benefit from our Master instructors. Our Masters have been training for almost two decades…. and still, they are exploring new techniques and methods to add to the curriculum. Explore our site and come in to talk or give us a call. The training system at USTSD is grounded in Tang Soo Do, which is a Korean classical martial arts style emphasizing self-defense through effective hand and foot techniques and traditional forms. While it is not modern sport MMA or kick-boxing, our program includes aspects of falls, take downs and throws, locks, ground fighting, and defense against weapons and multiple-opponents. Our programs are for all ages and skill levels, from 3 years old to seniors; this form of martial arts is truly for everyone, and we even encourage families to train together. Classes and programs are varied to focus on specific skills and training capabilities. 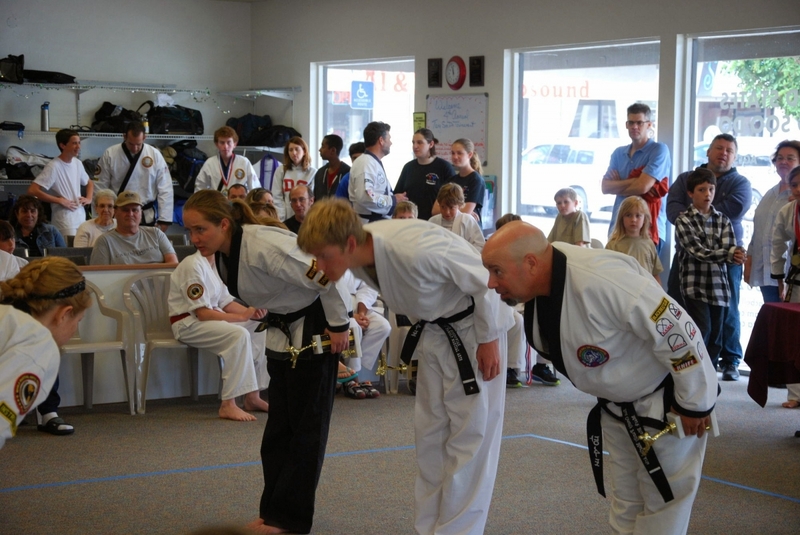 The benefits of participating in a safe, high quality martial arts program are many, for both children and adults. Students not only learn self-defense skills, but develop self-confidence, self-discipline and self-respect. Martial arts study includes physical conditioning that improves fitness, strength, flexibility and coordination. Martial arts study includes mental training, promoting mental focus, stamina and stress relief. And it includes specific techniques for self-awareness and self-defense for rapid, effective applications in any environment. There are many martial arts schools in the community and it is important to find the best fit for you and your family. Here students shared their experiences, why they chose the USTSD family, why they continue, and what they have gained. The stories are diverse, but the themes are the same: the program engages, motivates and delivers on self-defense, fitness, personal growth and wellbeing. If you have any questions or would like to learn more about the program, please don’t hesitate to call, email or visit the dojang. We are happy to answer questions and discuss program fit and how training will enhance your, your child’s or your family’s wellbeing. You are welcome to observe a class and many of our events are open to the public. For more information about the history of Tang Soo Do, our ranking system, our instructors, classroom etiquette and requirements, please READ MORE HERE.